Foamy shore break crashing on the soft dry sand. This beautiful award winning photograph was created by Steve Munch in 2013. 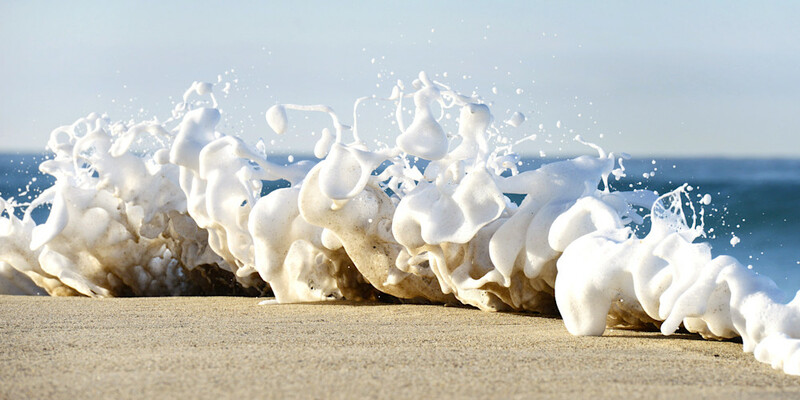 This photograph of the fresh white sea foam billowing up onto the sandy shore is the perfect piece for any beach home or space that you would like to create a fresh beachy vibe.